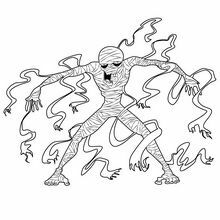 Mummy monsters - an unraveling good time! 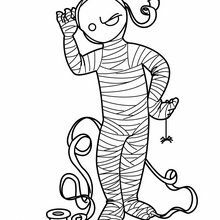 Unravel all the mysterious fun that Hellokids Mummy section has inside. 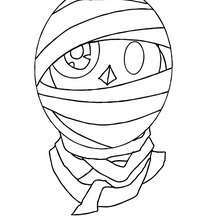 Watch the movie trailer from the movie "The Mummy", learn how to draw a mummy with step by step tips or make a mummy mask. 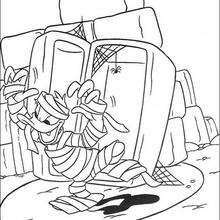 A monstrous amount of Mummy and zombie coloring pages to decorate online or print and color with markers at home. 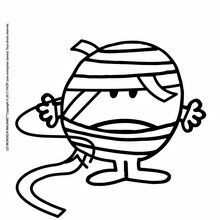 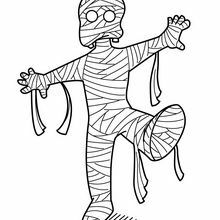 These online printable Mummy pages are a fun activity to do with friends during holidays or the coloring sheets make scary decorations for Halloween dinner. 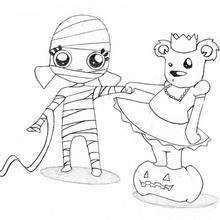 Are you planning a Halloween party? 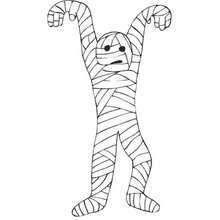 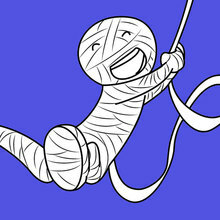 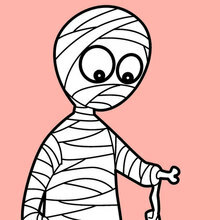 You will find a fun mummy wrap game to play for an unraveling good time!